​As part of the interdisciplinary class Engaging Site: the Social Practice of Public Art and Community Design, led by Dr. Cameron Cartiere and assisted by Ashley Guindon, my classmates and I created the Alexandra Road Development Public Art Plan. My contribution towards the project spanned the roles of researcher, writer, and presenter. This class was an innovative pilot project made possible through collaboration between Emily Carr University of Art + Design, Ampri Group Ltd, the City of Richmond, and Stantec. 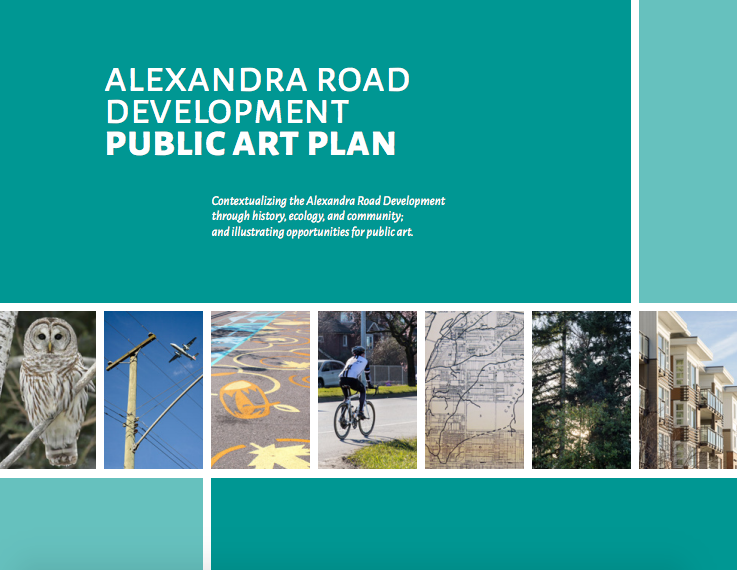 View the Alexandra Road Development Public Art Plan. Watch the documentary of this project Public Art Collective, created by Kharé Communications.